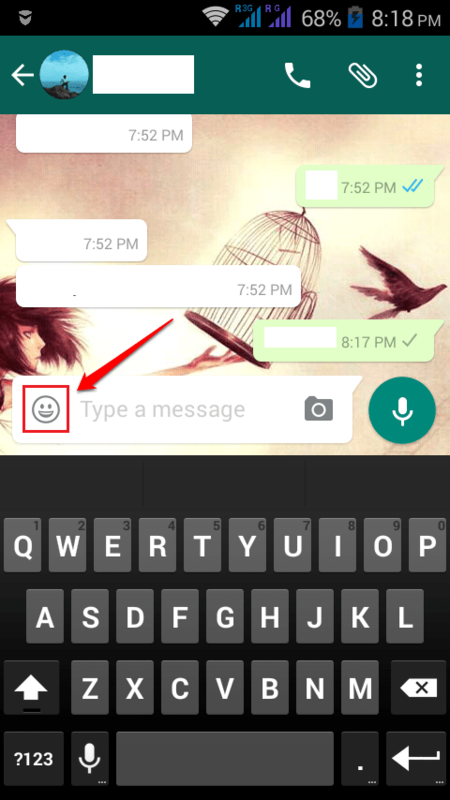 [New] How To Find The Hidden Smileys In Whatsapp:- Whatsapp is one of the most popular chat applications that is being used by billions of users. Everyone knows a lot about Whatsapp and if you want to stand out from the crowd, you definitely got to know something special about it, that no one else knows. What if I tell you that you can be the star among your friends by sending them a set of smileys that are totally new to them? Can’t wait to see how they would react? Well, check out the article and start sending the secret smileys in Whatsapp to all your contacts. Have fun! Note : Please update your Whatsapp if the trick doesn’t work for you. 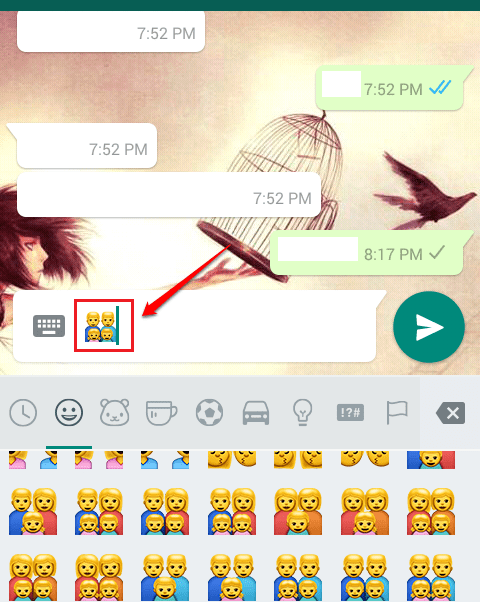 Fist of all, open a chat window in Whatsapp. As next, click on the Smiley icon to see the list of smileys. Now you need to find the list of family icons and select one as shown in the screenshot given below. Once you have selected one, click on it and press the space key to apply a space. Now press backspace key twice. There you are! Now you can see a different smiley combo which is pretty new to you. If there are still smileys left, keep pressing the backspace key. If the step doesn’t work for you, kindly update your Whatsapp and don’t forget to press the spacebar before pressing backspace keys. It is not applicable to a single smiley. You could try other family icons as well to try out the different smiley combinations. Try out this super new trick today itself to amaze your friends. You could try playing the Whatsapp Smiley game with them. Send them normal smileys in the beginning and ask them to find those. Then start sending them the secret smileys. It will be fun. If you find it difficult to find the hidden smileys, feel free to leave comments. We would be happy to help. Do come back for more, as there is always something new waiting right here for you. Some phones are not supporting this feature.